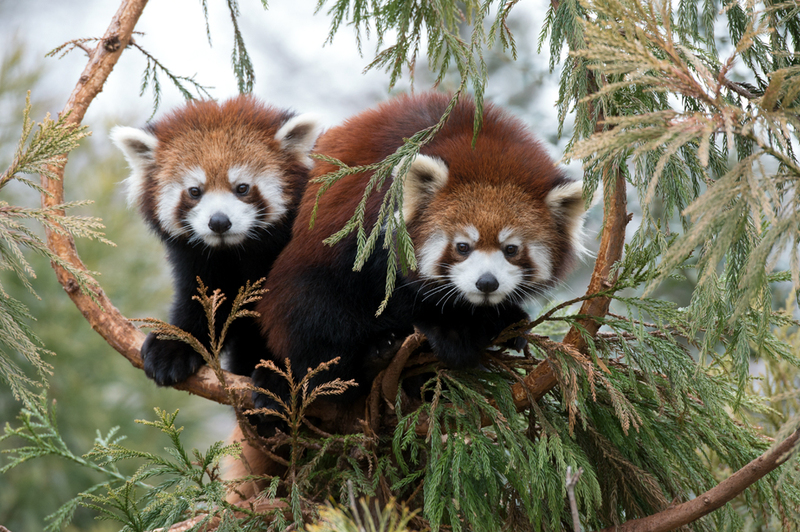 The red panda is dwarfed by the black-and-white giant that shares its name. 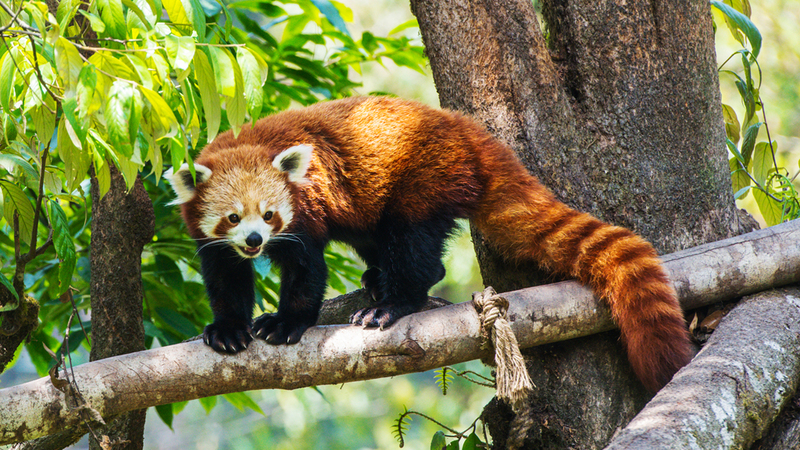 These pandas typically grow to the size of a house cat, though their big, bushy tails add an additional 18 inches. 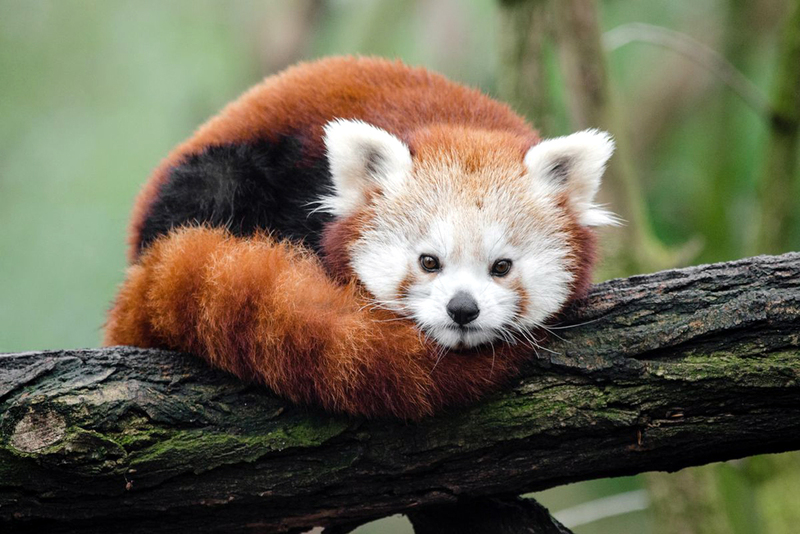 The pandas use their ringed tails as wraparound blankets in the chilly mountain heights. 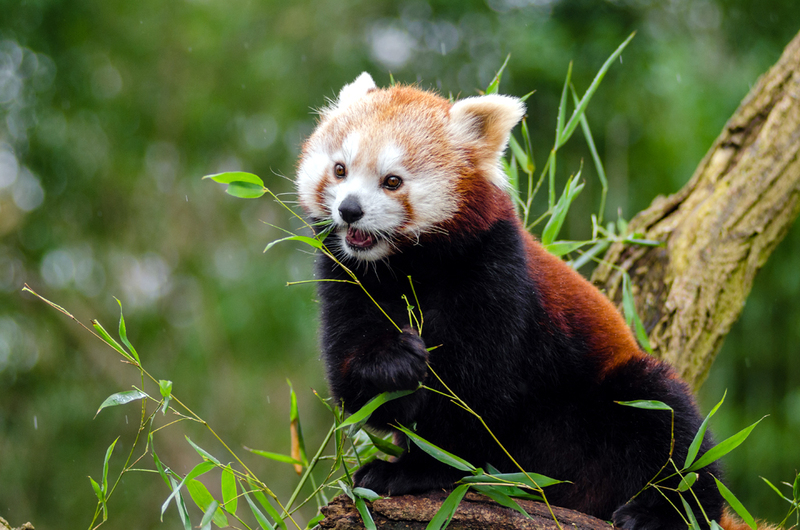 The red panda shares the giant panda's rainy, high-altitude forest habitat, but has a wider range. 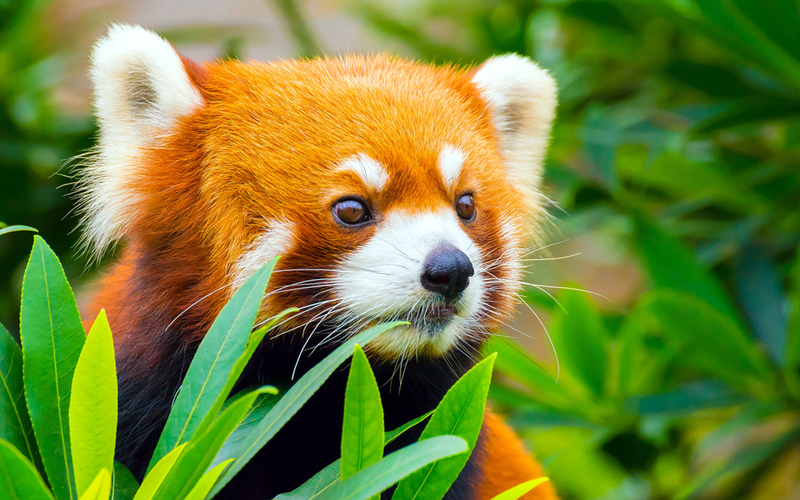 Red pandas live in the mountains of Nepal and northern Myanmar (Burma), as well as in central China. 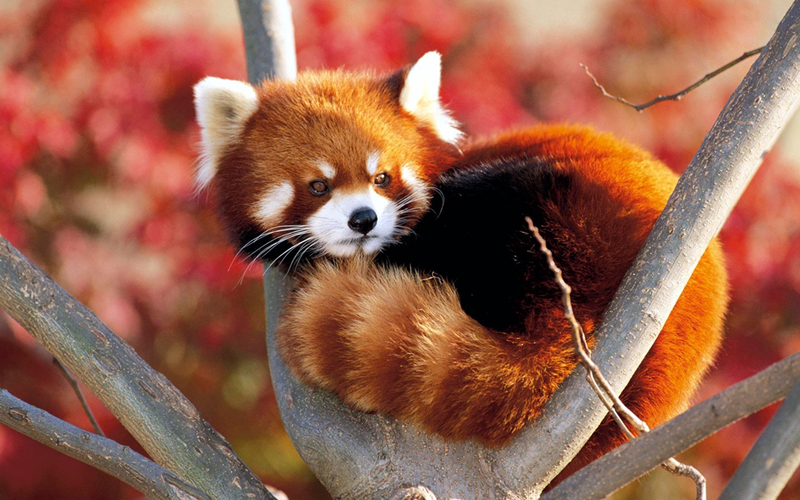 These animals spend most of their lives in trees and even sleep aloft. 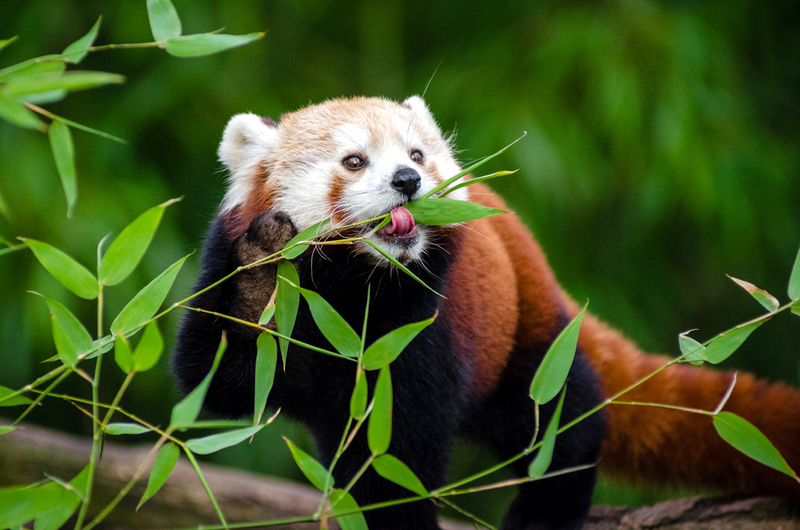 When foraging, they are most active at night as well as in the gloaming hours of dusk and dawn.Red pandas have a taste for bamboo but, unlike their larger relatives, they eat many other foods as well—fruit, acorns, roots, and eggs. Like giant pandas, they have an extended wrist bone that functions almost like a thumb and greatly aids their grip.Now there is some fun trivia for you!